The month of October conjures up images of turning leaves, hayrides, pumpkins, scarecrows, black cats, and of course Halloween decorations. I love learning about the origin of the holidays we celebrate, so I did a bit of (admittedly rudimentary) research to discover some of the reasons we dress up and try to scare each other on October 31st. Originally known as All Hallows’ Eve, Halloween is linked to the Celtic festival of Samhain. This last day of autumn was considered the time of year when the barrier between the paranormal and physical worlds grew thin. 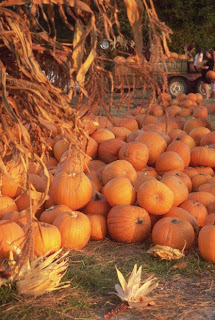 The Christian holiday of All Saints’ Day (All Hallows) also influenced Halloween. It was said that the souls awaiting release on November 1st had one last night to extract revenge on their enemies before leaving the earth. Cautious Christians would disguise themselves with masks to avoid recognition. 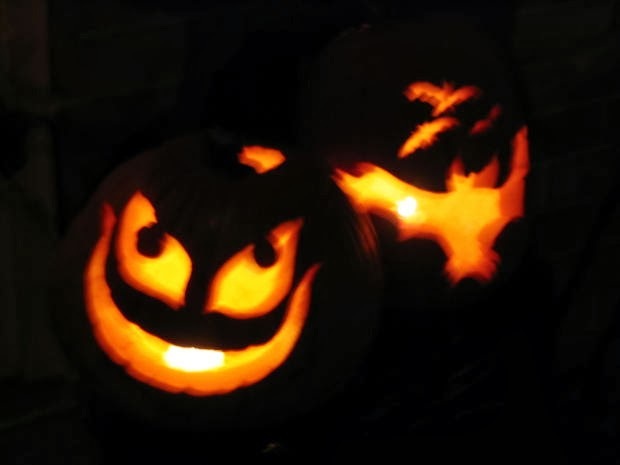 The custom of carving pumpkins originated from a Samhain practice of remembering souls with turnip lanterns. Trick-or-treating can be traced back to “souling”, a medieval practice which involved the poor and hungry travelling door-to-door and offering to pray for the dead in return for food. My favorite Halloween tradition is visiting haunted houses. 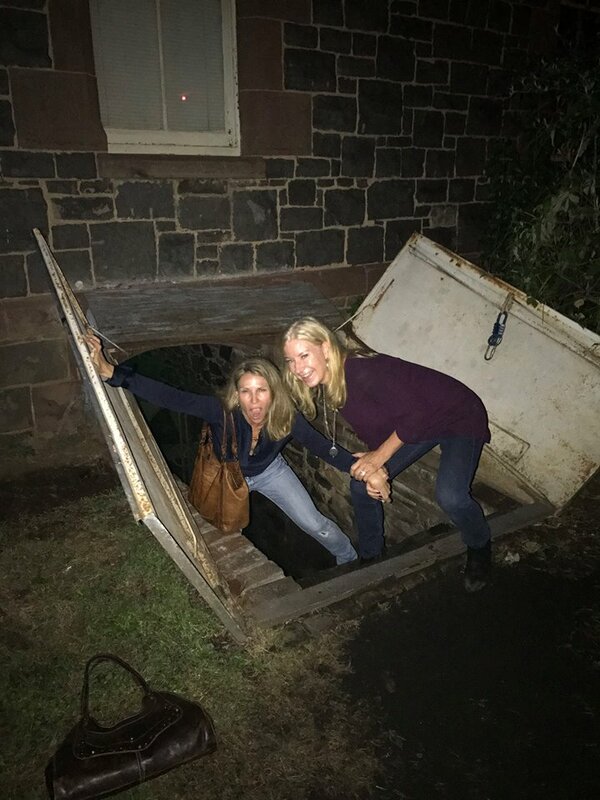 This year, I dragged my best friend to an incredible haunted house and haunted basement at Paxton Manor in Virginia, when we were there visiting earlier in the month. We screamed the entire time, but we laughed just as much, and we made it out alive (see below). I love being scared like that, when you know in the back of your mind that it really is just an attraction (or movie, tv show, or book). Emerging from the Haunted Basement victorious! If you like that story, try SILVER LAKE as well...another suspenseful ghost story/mystery with plenty of romance. Will Rain and Jason get another chance at first love before a desperate spirit tears them apart again...forever? My latest ghost mystery also has plenty of steamy romance to counteract any chilling scenes, and HAUNTED SOULS was inspired by a trip to the Old Jail, a historic building on Cape Cod which is considered actively haunted. And the title has a double meaning, as Brett and Emily each have their own torturous choices and memories to overcome if they have a chance for a future together. in the lower window that isn't in any of my other shots. Happy Halloween and Happy Haunted Reading!